11 Perfect Places To Visit In Pushkar: Our Epic 2019 Guide! Oh Delhi, the manic, crazy, and super polluted capital of India. Don’t let that put you off! I am a firm believer that we should visit every capital city of a country, as it allows you to really experience a country in the peak of its madness. Once you handle the crazy, Delhi is a place bursting with brilliant things to do, see and eat….and it can be a very romantic place for couples. So since Brad and I are a couple, I thought I’d do a post on the best places to visit in Delhi for couples alongside fun things to do in Delhi of course! Hang tight, things could get cheesy. 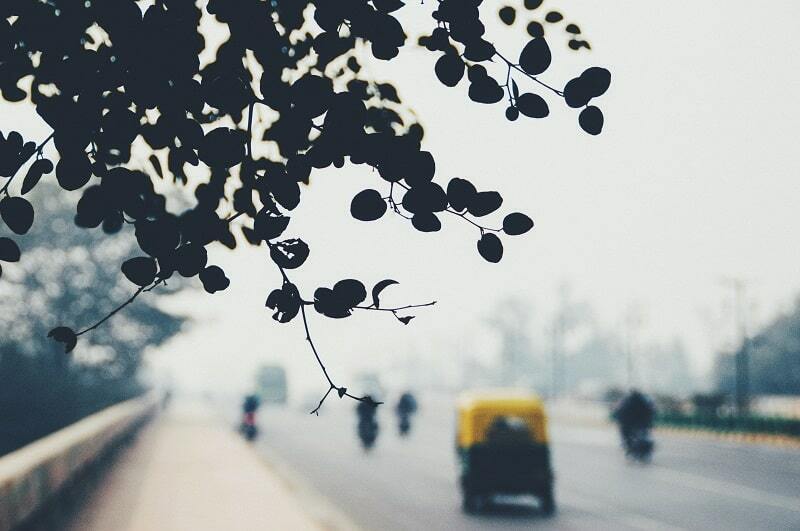 The best time to visit Delhi is between October and March as the weather is at its best. It’s warm, but it’s bearable! Delhi is nowhere as near as bad as people make it out to be (a bit like Mumbai- it’s absolutely fine too). People tend to paint a picture of these manic cities where you simply can’t have a good time because it’s so manic. It’s truly not like that! So, don’t avoid Delhi because people have told you too. Trust me, if you did that, you’d never explore anywhere in the world! How do I get to Delhi? It’s super easy to get to Delhi since it’s the capital of India! You can easily fly there from the US, UK and Australia. Direct flights to Delhi from the UK are actually super cheap, which makes it a perfect destination to visit. How long should I spend in Delhi? Bradley and I stayed for 4 nights, but we were also working. However, there is plenty to see, so you could easily fill your four nights. However, for a normal trip, I would recommend 2 or 3 nights. This makes it a great choice for a unique romantic weekend break! What are the best places to visit in Delhi for couples? Okay, now that we have dealt with when to go an how to go, let’s look at what you came for: the best places to visit in Delhi for couples! The Lodhi Garden has always attracted couples thanks to its beautiful setting, fresh environment and architecture. It’s a wonderful place to wander and explore the tombs located within the gardens. These include Mohammed Shah's Tomb, Tomb of Sikandar Lodi, Shisha Gumbad and Bara Gumbad. You can reach here via metro, bus, rickshaw or uber/Ola. JLN Metro station is the closest to you. There are many places to eat nearby, so you could get something to eat whilst you walk. There is no entrance fee and it’s open from 6.00 am to 7.30 pm. Want to do something super fun? Then this is one of the best places for couples in Delhi. If you water and thrills, then you can’t go wrong with a water park experience. There are lots of fun rides for those who seek thrills, and there are plenty of places to eat and relax. It’s simple and easy fun. Head early or later to beat the queues. Apollo hospital is your nearest metro station or you can get there via rickshaw or Uber/Ola. Open 10.30 am to 6.30 pm and it only costs 750 per adult! Some people are for the zoo, some people are against it. I am not here to debate that, but if you do like the zoo, then it’s a perfect spot in Delhi to go with your partner. Discover over 100 animals as you walk hand and hand. You can spot white tigers, elephant, birds, rhinos and much much more. Opening times vary depending on the time of year. 1st of April until mid-October it’s 9 am to 4.30 and the rest is 9 am to 4. Entry fee is 40 for locals and 200 for foreigners. Very cheap. The Garden of Five Senses isn’t just your typical park, rather it’s a space that was created with the public in mind. A place with a variety of activities that invite the public and couples. It’s filled with beautiful greenery and flowers and it’s the perfect place to walk hand in hand. There are even some beautiful outdoor restaurants allowing you to have a romantic meal al fresco style. Brad and I spent quite a bit of time in the mall because we wanted a modern coffee shop and I wanted to window shop! There are some fantastic malls all across Delhi that are super modern, massive and offer everything. Not just shops. There are malls with amazing bowling alleys, Cricket, amusements, ice skating rinks, dance studios, and the cinema. There is literally so much for a romantic date. Add a mixture of great restaurants such as TGI Fridays or even the Hard Rock Cafe, then you’ve really got a day to remember. Since the Taj Mahal was built with love and romance in mind, it’s only fitting that it’s included on this list. Lots of people don’t spend a night in Agra as there isn’t much else to do other than see the Taj and Agra Fort, so a day trip is perfect. Take advantage of Delhi tour packages such as this one to visit in style. There is lots to see in both old and new Delhi, and what better way than to explore it all with your loved one in the comfort of your own private car? 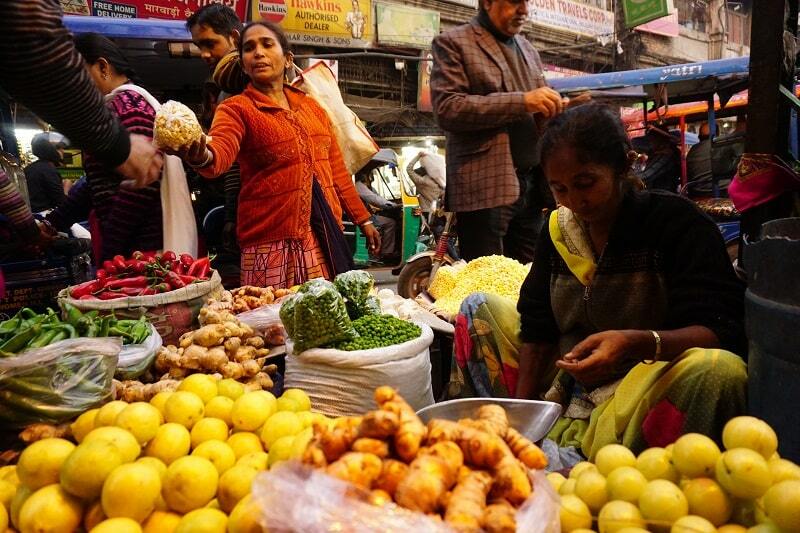 Take your time and take in the sights with a private tour around Delhi. 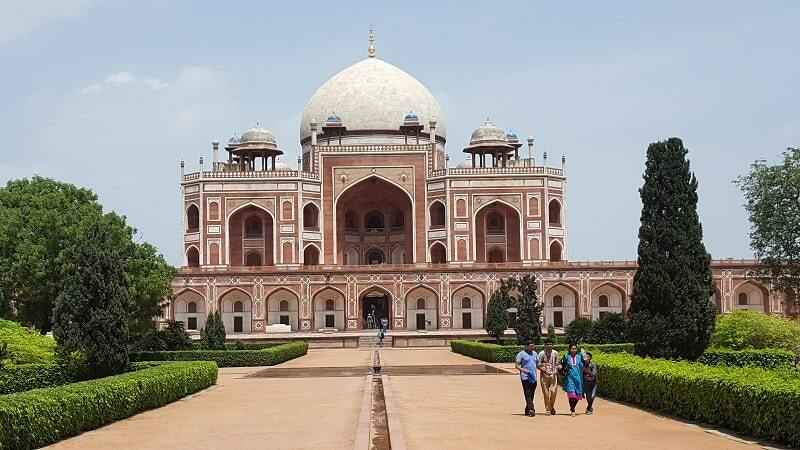 Take photos, make memories and fall in love with the beautiful sights that Delhi has to offer, from fantastic gardens to tombs, forts and much more. Check out this tour. Food, in general, has to make the list of the best places to visit in Delhi for couples. Yes, you can’t visit “Food” exactly, but you can go on a food tour. Take your loved one and discover the tantalizing delights that Delhi can to offer. Try local cuisine and witness the explosion of fantastic flavours that wonderful Indian cuisine brings. You can create your own DIY food tour by simply heading to food markets and sampling street food, or you can take advantage of an organised tour to ensure you don’t miss out on anything. Hauz Khas Village is also known for its electric nightlife with countless cafes, bars and pubs. 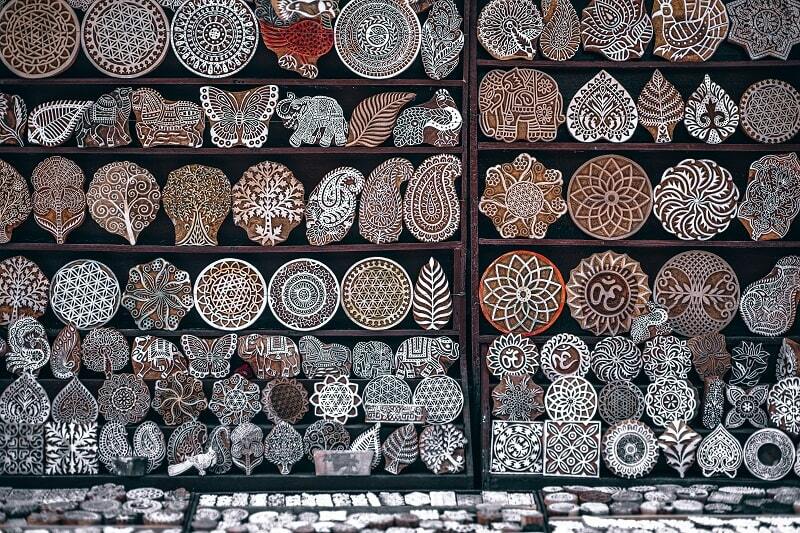 It’s known as the beating heart of creative India, and it’s no surprise why. It’s bursting with vibrancy. stroll around the historic Hauz Khas complex, with its medieval madrasa, tombs, mosque and lake. Shop until you drop at the many market stalls, or admire art at the many art galleries. It’s truly an area that offers something for all couples and you could easily spend hours here. India Gate is an iconic structure in Delhi, so it’s definitely a good choice for a romantic picture. I know what you’re thinking, it’s super busy! But no. India gate is a complex that’s open 24/7 due to its road nature, so if you go super late and night, you can get it all to yourself. Visit the gate without the traffic, take some romantic pictures and enjoy an ice cream together. There are lots of cinemas in Delhi that offer both Indian movies and English movies (in English), so why not go traditional and watch a movie. You can’t get more classic romance than that. Watch a movie, share a popcorn, then go for dinner afterwards. Perfection. Grab a picnic, a bottle of local wine, two glasses and head on a picnic at Deer Park. Yes, there will be deer, but there will also be so much more. It’s located at Hauz Khas Village, which means it’s a perfect stop to add if you’re visiting there. This park is big and has a little lake and a variety of wildlife. Spot deer (of course), rabbits, birds and much more and you’ll forget that you’re in the hectic city of Delhi. Okay, so the chances of actually seeing the stars in Delhi are slim, due to the bad air pollution, but that doesn’t mean you can’t find them elsewhere. Last, but not least, why not do something adventurous with the Indian Mountaineering Foundation. 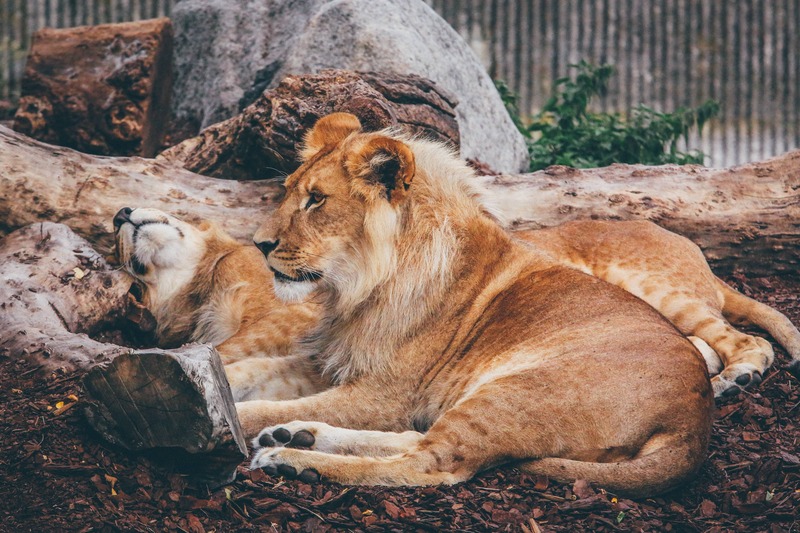 If you're the outdoorsy type of couple then this is definitely one of the best of fun things to do in Delhi for couples. You can hike or rock climb and gain some adrenaline fun! No romantic trip to Delhi is complete without a romantic dining experience. There are many fantastic places that offer the perfect setting for a romantic meal. Below I discuss my top 3! The SKY Lounge is the most astounding cafe which will pamper you with its hand-picked fancy dishes by the trained chefs. They have a premium menu that offers European, Indian and Italian food to treat yourself whilst lounging by the poolside. You’ll feel like you’re on cloud nine, and they do daily live music performances to keep you entertained. Personally, I love a good Italian restaurant that’s outdoor. 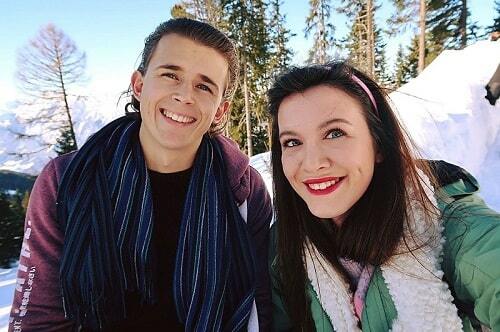 It SCREAMS romance and this one doesn’t fail to deliver in that area. It’s the perfect spot if you and your date desire traditional Italian food amongst an all-white, airy ambience that oozes romance like nothing else. The restaurant is mimicked after the sights you typically see while walking on cobblestone paths in Italy, and you will feel like you’ve entered a little Italy. Romantic bliss and one of the best places to visit in Delhi for couples for sure! Want a rooftop bar and lounge with a beautiful infinity pool? Then look no further. This spot serves delicious sizzling sushis and Teppanyaki grills. It’s a great spot for an intimate, romantic meal. It offers some of the best Japanese cuisines, outside of Japan by its in-house chef. Enjoy a fine wine with some fine cuisine at this beautiful spot in Delhi for couples. Okay, as we have just discovered Delhi is definitely full of beautiful places for couples to visit. 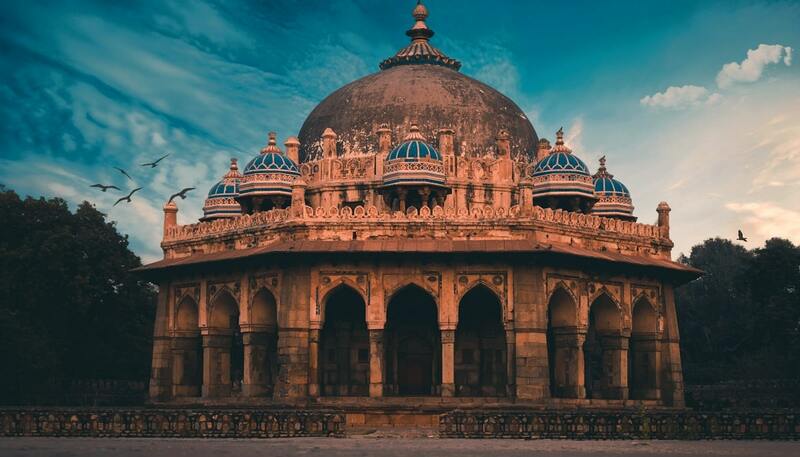 But, it’s also got some great places outside Delhi too, so if you’ve got more than a few days in Delhi, then check out these romantic spots outside Delhi. These places also make for good weekend getaways due to the array of accommodation on offer at the spots too. Fancy a romantic boat ride on a beautiful lake? Then Tilyar lake is the best place to take your date. This is definitely one of the most romantic places near Delhi and a perfect spot where you can go for a picnic with your loved one. The lake offers boating and there is a zoo and theme park you can visit, so it’s perfect for spending a full day here, or even stay overnight. If you are looking for a scenic day trip with your partner, then this is a great choice. 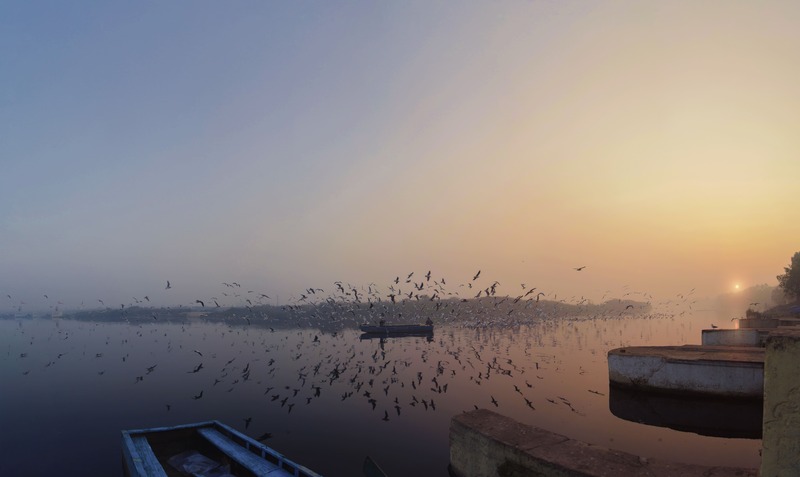 Damdama Lake is among the most romantic getaways near Delhi. It’s located just 50 km away which will take 2 hours on a good day. It’s a beautiful lake that’s spread over 3000 acres. It was actually originally built by the British as a reservoir. It’s a beautiful environment and somewhere to relax and take in the atmosphere. If you want to experience a truly luxurious stay outside of Delhi then this resort and spa is perfect. It provides a luxurious stay combined with heritage, and we all deserve a real treat every once in a while right? Treating your date an escape to an exclusive retreat is a heart-warming gesture. It's the perfect spot to spend quality time together. So there you have it, my list of the best places to visit in Delhi for couples in 2019...and beyond! If you’re planning a trip to Delhi, then let me know if you tried any of these suggestions. OR, if you know of more romantic spots in Delhi for couples, then comment below! Explore the cultural triangle with trips to Jaipur, Udaipur and Jodphur. Looking for romantic tours for couples in Delhi? 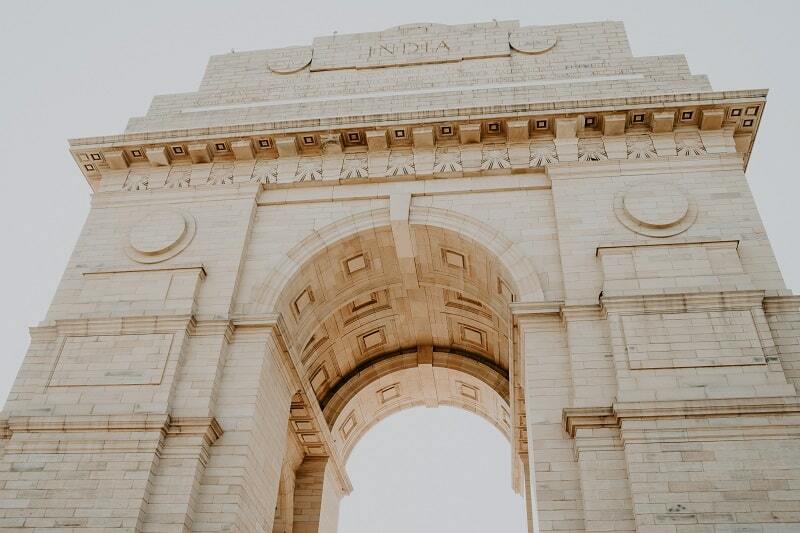 Our Ultimate 3 Week India Itinerary: The Best Places In 2019! 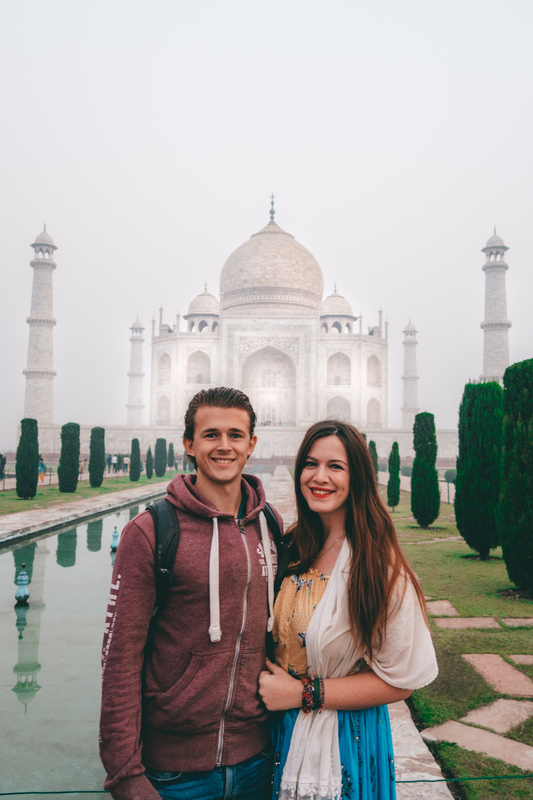 Visiting The Taj Mahal in 2019: Everything You Need To Know!